Solar Power – HAMZALA Inc. The UK enjoyed its greenest year ever in 2017 in terms of how it produced its electricity, the National Grid has revealed. Proving that renewable and clean energy has been enjoying stratospheric growth, the country managed to break an impressive 13 records around renewable energy. These included the first day since the industrial revolution where the UK was able to generate electricity without any coal power. Other records include the first time where over half of the UK’s electricity needs were met by renewable energy. “It’s been an exciting year managing the many ‘network firsts’“said Duncan Burt, Director of the System Operator at National Grid. Figures from MyGridGB reveal the true extent of how renewable and low-carbon energy have transformed the UK’s power grid. 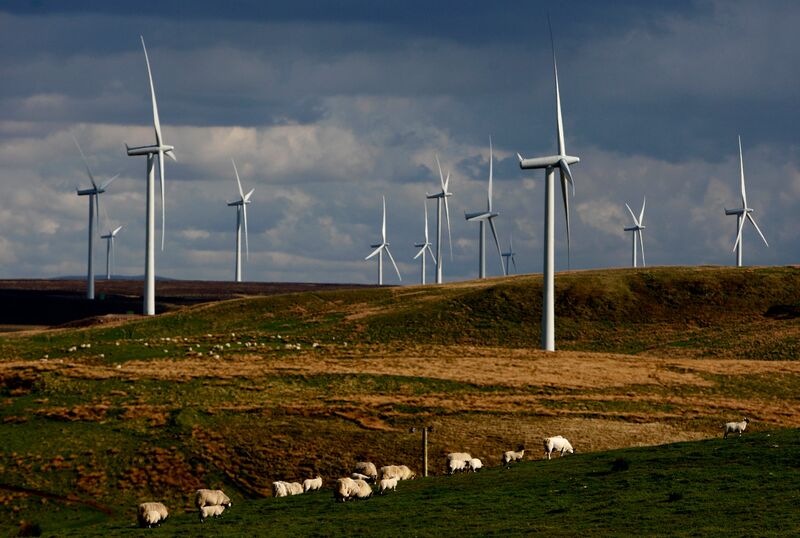 British wind farms generated more electricity than coal plants on more than 75% of days this year, figures show. The continuing rise of renewables and the decline of the most polluting fossil fuel also saw solar outperform coal more than half the time. Overall, renewables provided more power than coal plants on 315 days in 2017, or more than 90% of the year, figures up to December 12 show, while coal was beaten by wind on 263 days and by solar on 180 days. British #electricity has been 46% low carbon over the last 12 months with carbon emissions below 280gCO2/kWh. Coal generation only exceeded solar on 10 days from the beginning of April to the end of August. In total, renewables generated more than three times the amount of electricity as coal over the year to December 12. The figures reflect a year in which a number of “green” records have been set for the power sector, including the first full day without any coal power on the system, new high levels of solar generation and tumbling prices for new offshore wind farms. While the UK as a whole has benefitted from this growth in green energy, it is Scotland in particular that has achieved some of the most impressive results. In October, Scottish wind power created double the amount of electricity needed to power every home in Scotland. Strong winds and the remnants of Hurricane Ophelia helped send a staggering 1.7 million megawatt hours (MWh) of electricity to the National Grid. But with daily output from wind only outstripping gas on two days of the year, and renewables overall – including wind, solar, biomass and hydropower – beating the fossil fuel on just 23 days, there were calls for more support for low-carbon power. Dr Andrew Crossland from MyGridGB and the Durham Energy Institute said: “The Government has focused on reducing coal use which now supplies less than 7% of our electricity. “However, if we continue to use gas at the rate that we do, then Britain will miss carbon targets and be dangerously exposed to supply and price risks in the international gas markets.